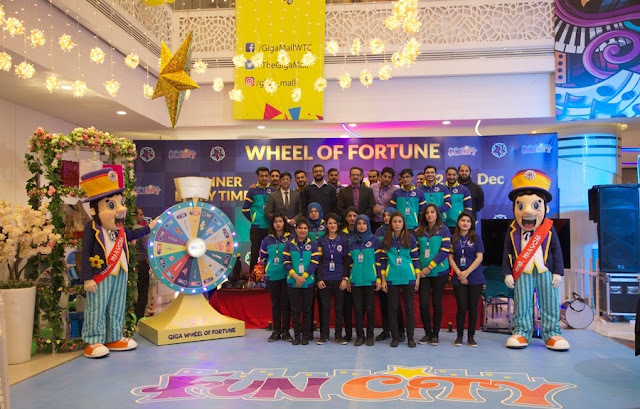 Press Release: Everyone is a Winner at Fun City Pakistan...!!! An ideal family outing for everyone this winter at Giga Mall. 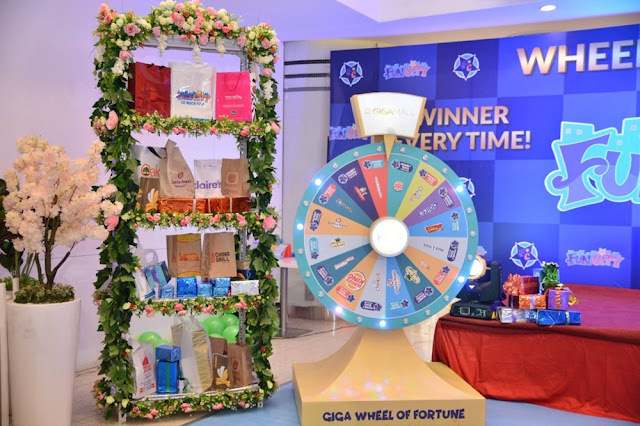 Fun City Pakistan is hosting the first ever Wheel of Fortune game event as a part of Giga Mall – DHA’s Shopping Festival celebration. Enjoy with friends and family at the most exciting event of the year! The 10 days long event will consist of super fun Minute to Win it game challenges like Flip the lid, Face the cookie, Define gravity, Spoon and Ball race, and Tea party. 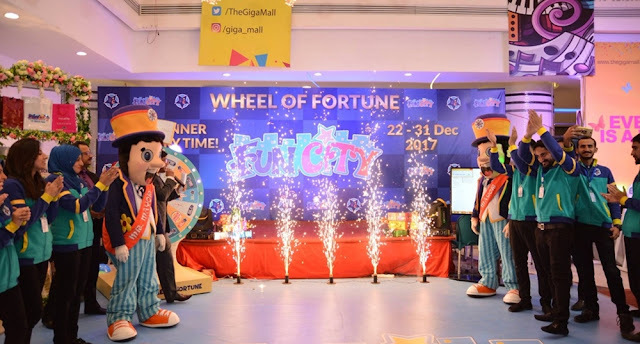 Winning participants will then advance to the Wheel of Fortune game and get the chance to win free rides courtesy of Fun City and other major brand food/gift vouchers and gift hampers. Every spin gets to win amazing prizes. Everyone’s a winner! 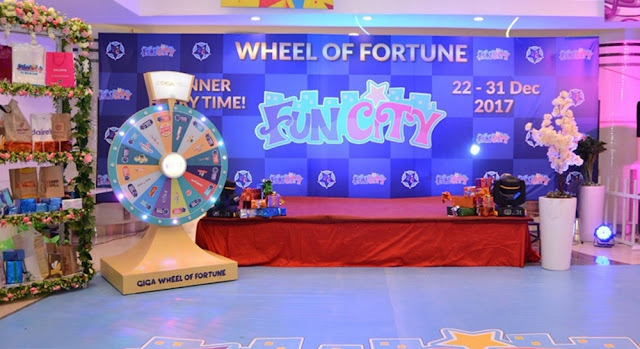 Fun City are the pioneers of family entertainment in Pakistan and have a state of the art center to Islamabad, Rawalpindi and its surrounding areas. 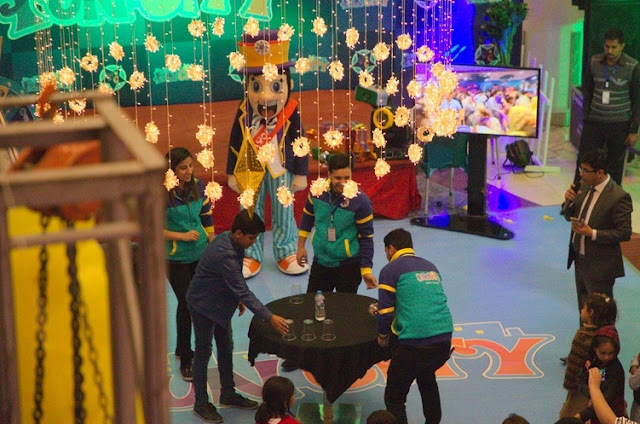 Fun City facilitates entertainment to all ages. There is something for the entire family! Their high adrenaline rides; the Mini Dance Party 360 and the Top flip are for teens and adults only and are not for the faint hearted. You can never have enough of it. 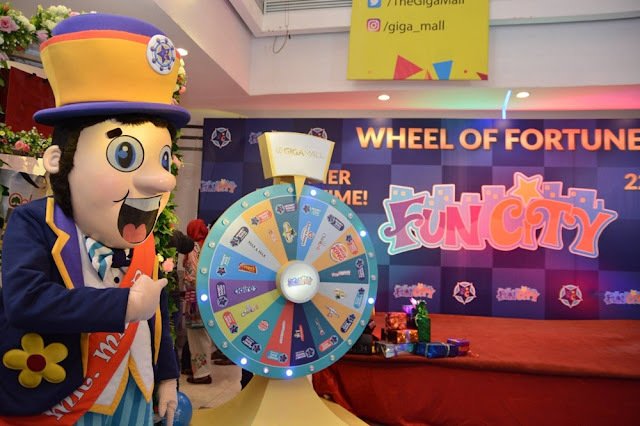 It’s the perfect opportunity for your family and friends to visit Giga Mall this winter break for lots of fun and much more. You can even get a chance to meet Mr. Mayor, the official mascot. Make this winter break a memorable one! Makeup & Beauty Favorites of 2017...!!! Hope you all are doing great and enjoying the holiday season. As 2017 is reaching its end, I have decided to share some of my favorite makeup and beauty products of this year. So here I am, sharing with you all, my Makeup And Beauty Favorites of 2017. Keeping the favorites list precise, I will be sharing just 1 product that made it to my favorites list from each category. So let's quickly get to the post to see which products made it to my Makeup & Beauty Favorites of 2017 list. Starting with my favorite eye product of the year. 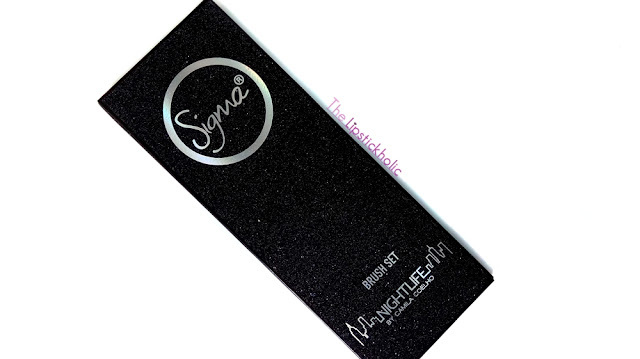 Without any doubt, Sigma Beauty Nightlife Eye Shadow Palette has been my favorite eye palette of the year. I have created several looks using this palette and really love the color selection and pigmentation of this palette. You can read my detailed review on the palette here. I tried many new foundations this year and have been loving few of them quite a lot. However, as they are still in testing phase, they didn't make it to my favorites list of this year. 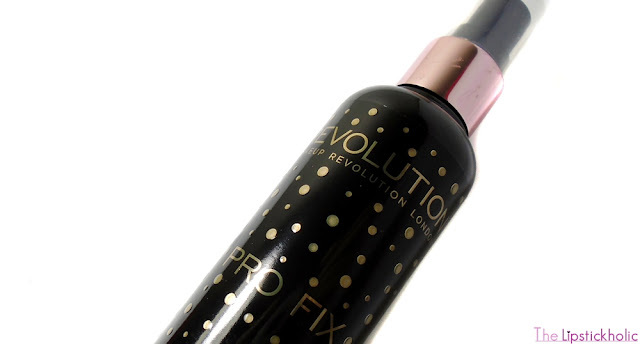 So the product that made it to the top in this category is "Makeup Revolution Pro Fix Illuminating Fixing Spray". This product is surely amazing. It gives such a nice, soft finish to my look and makes my makeup last much longer. In the blusher category, my most used and favorite product of 2017 is "Freedom Makeup London Pro Blush Palette - Peach and Baked". 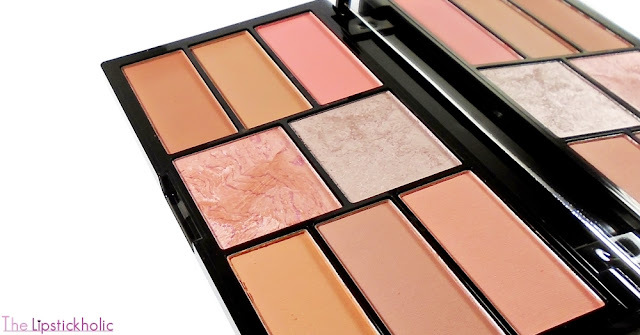 I love the blusher shades in this palette and have been wearing them quite a lot. I have yet to review the palette on the blog. I will be sharing more details in my review soon. 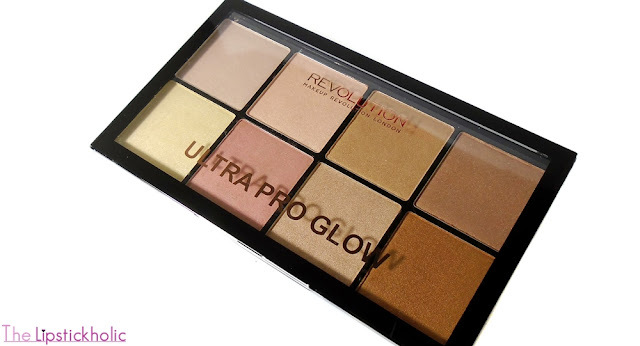 Once again, Makeup Revolution makes it to my top list with its "Ultra Pro Glow Palette". If you have been following me on Instagram, you would already know how much I adore this palette. I can undoubtedly say, I have used this palette quite a lot this year. From subtle day time look, to a full on glam look, this palette has been my favorite for all occasions. You can read my detailed review on the palette here. Selecting one lip product from 2017 was the hardest for me. I tried many new lip colors this year and loved most of them. Mostly, I had been in love with different liquid lipsticks in 2017. However, "Masarrat Misbah Makeup Lip Varnishes" revived my love for regular (bullet) lipsticks. 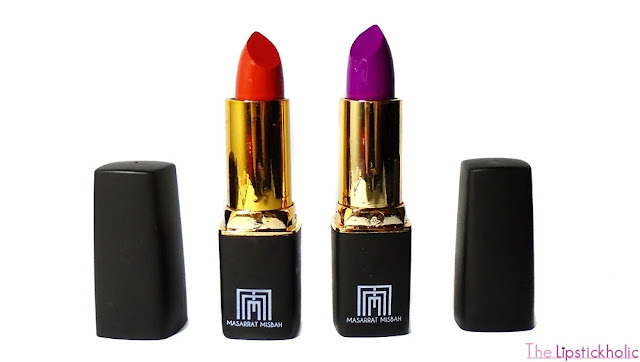 These lipsticks are Halal, have great pigmentation and good staying power. I have been wearing MM Makeup Lip Varnish shade "MM Orange" quite a lot since I got it. It's a kind of shade that instantly brightens up the face. I like to lightly dab it on my lips and it looks just perfect then. You can read my detailed review on MM Lip Varnishes here. 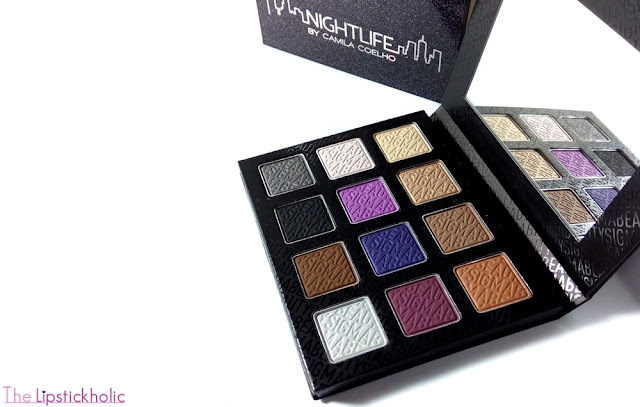 My favorite in this category has to be "Sigma Beauty Nightlife Brush Set". I fell in love with the brushes in this set, the moment I saw them. 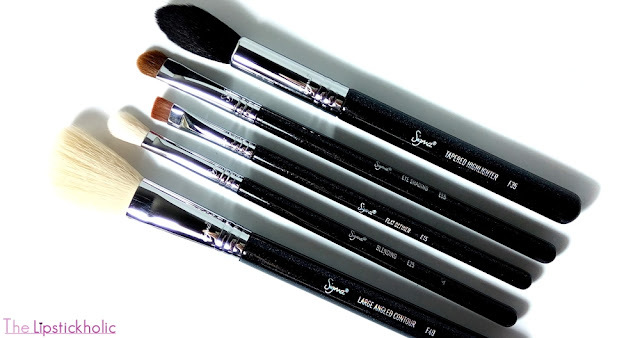 The set contains some of the best-selling brushes by Sigma Beauty with glittery handles. The pretty glittery handles with soft yet amazing quality bristles make these brushes stand out for sure. This set has surely been my most-used brush set of the year and I totally love it. 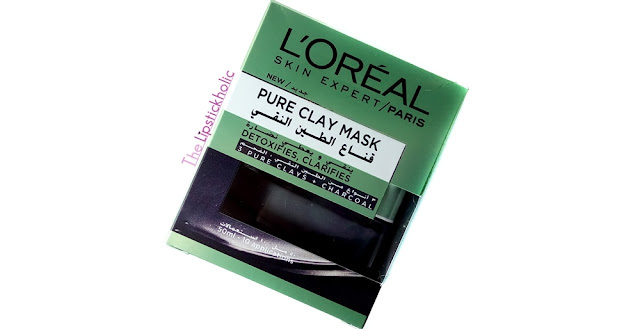 Talking about skin care, I can say "L'Oreal Pure Clay Detox & Brighten Charcoal Mask" is one of the best skin care products I tried this year. It deeply cleanses the skin, reduces blackheads and kind of brightens the face too which makes it a winner. So these were my 2017 makeup & beauty favorites. I hope you like the list and would have found some of your favorites in this list too. I am truly very grateful to Allah for all the joy, success and blessings that Allah blessed me with in 2017. I would like thank all my lovely readers, friends and fellow bloggers for their love and encouragement throughout 2017. A huge thanks to all the brands and companies I am working with or am affiliated with, for liking my work and for their continuous support. Wishing you all an amazing and prosperous 2018...!!! Disclaimer: This post contains affiliate links and also contains some products that were sent to me for review purpose. However, this has not affected my opinion. For further information read my complete Disclaimer and PR Policy. Press Release: Kit and Kaboodle Flagship Store Launch on M.M Alam Road Lahore...!!! 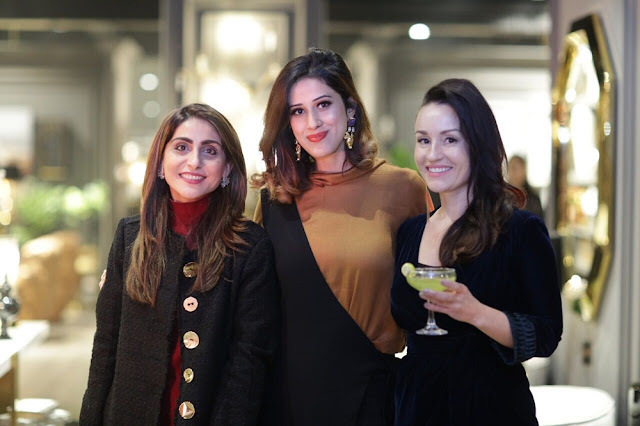 Kit and Kaboodle traveled the world to seek the finest home accessories and furnishings to decorate the homes in Pakistan by launching their flagship store on M.M Alam Road Lahore on Thursday, 14th of December, 2017. The launch was a grand affair with attendees including leading magazine editors, bloggers, socialites and famous media personalities. It was an intimate gathering with exotic Hors D'oeuvres and some great jazzy tunes. The showroom was a true manifestation of sublimity with comfortable and premium quality furnishings. The line is modern yet classic, contemporary yet timeless in both design and durability. It offers a unique touch of originality, delivering elegance by the fusion of exotic designs that are rich in detail. Kit and Kaboodle is the exclusive dealer among others Bernhardt Interiors US, Theodore Alexander US, Curry and Company US and ByKepi from Turkey. Having more than 200 suppliers under the brand, it provides the perfect balance between outstanding design and the price point. It is the one stop solution for all your interior decor needs, offering a wide range of furniture, soft furnishing, lighting, mirrors, artwork, rugs, accessories, sculptures, candles and much more. Review: 786 Cosmetics Halal Nail Enamels...!!! 786 Cosmetics Halal Nail Enamels have good pigmentation. They have very thin consistency yet are easy to apply and dry quickly. Two coats of these nail enamels result in perfect, opaque coverage. The staying power of these nail enamels is pretty nice and these last for about 3 days easily without chipping. These nail colors surely are oxygen permeable and do not cause the color of your nails to turn yellowish. All the shades that I got have nice texture and finish. The top coat adds a nice sheen to nail enamels and also help them last a bit longer. Carefully lifted the top tissues. The tissue that was below (shown in first picture) is now wet and shows that water has passed through nail enamels. The test clearly shows that these nail enamels are water permeable. I conducted the water permeability test several times and the water surely passed through the nail enamels after rubbing as per instructions. I repeated the same test with regular nail colors for comparison and the water failed to pass through the nail colors in that case. You can also check the water permeability test video given by 786 Cosmetics on their website. Overall, I really like the formula, quality and finish of these 786 Cosmetics Halal Nail Enamels. I love the fact that these nail enamels are Halal Certified, free of any harsh chemicals, alcohol and any other haram ingredients. These are wudu-friendly and oxygen permeable. The shade range of these nail enamels is limited for now. However, the price of these nail lacquers is pretty reasonable. 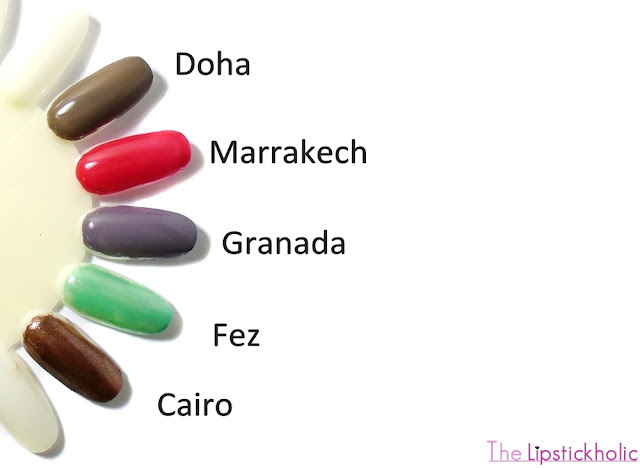 If you are looking for Halal, vegan, cruelty free, water-permeable nail colors, then you should check these out for sure. 786 Cosmetics Halal Nail Enamels are available online at 786 Cosmetics Website for $9.99 each. To know more about formulation of 786 Cosmetics Halal Nail Enamels, visit their website. Press Release: Launch of The Coffee Bean & Tea Leaf® in Islamabad...!!! 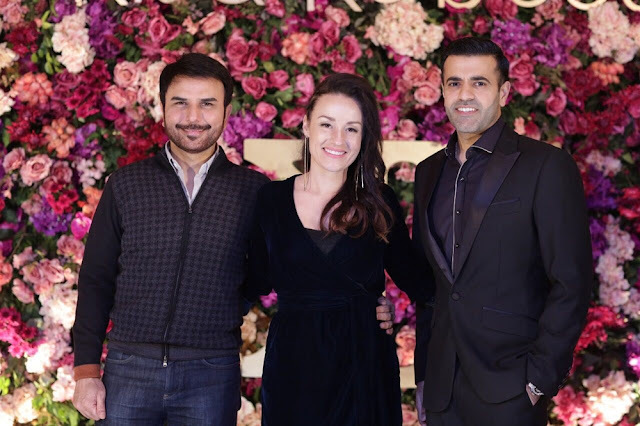 The Coffee Bean & Tea Leaf® Launched in Pakistan by young entrepreneurs Usman Yousuf and Adnan Azam at a Glamorous Event hosted by Natasha Hussain and Top Models and official ribbon cutting ceremony by Mayor Sheikh Ansar Aziz marked the occasion. 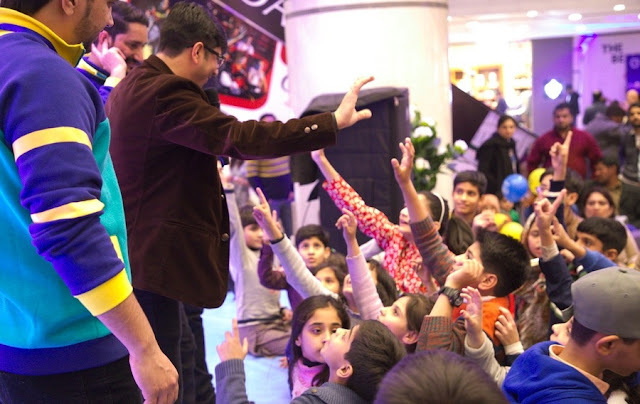 There were also appearances by many renowned personalities from Islamabad’s elite at the event at the Mount View Plaza , F-6 Super Market Islamabad. PR was handled by Rezz PR & Events and Event by Eikon7. Born and brewed in Southern California since 1963, The Coffee Bean & Tea Leaf is heralded as the oldest and largest privately-held specialty coffee and tea retailer in the world, with over 1200 stores across 31 countries today. It has immediate plans of launching next in Olympus Mall, Islamabad, as well as in Packages Mall and Main Boulevard Gulberg, Lahore. The company has plans of opening 30 stores all across the country in the next 5 years, all owned and operated by the master franchisee to maintain quality and standard. The Coffee Bean & Tea Leaf is committed to sourcing and roasting the top 1% of Arabica beans, and serving over 20 handpicked whole leaf teas, all from small farms and private estates in East Africa, Latin America and the Pacific. Its philosophy is to “respect every Bean” and create a social hub where customers can relax and enjoy in a casual, friendly Southern California environment. It is especially known for concocting the signature ‘Ice blended’ drink, variations of which are now offered at other coffeehouses as well around the globe. The brand is especially a favourite in Hollywood, catering to the likes of Johnny Carson, David Beckham, Madonna and Eddie Murphy. The Coffee Bean is truly international. The coffee and teas are picked from across the world, roasted in LA and ground in best-in-class Swiss equipment, pulled in an Italian “Ferrari of coffee machines” with water that comes from a world-class filtration system and served in mugs from Korea. Their chocolate and cocoa comes from Belgium and Switzerland, the butter from France, and the flour from Dubai. As for the people, the trainers are from Malaysia and the Baristas are 100% pure Pakistani. Finally launching in Pakistan from Capital Islamabad and plan to open in all major cities The Coffee Bean & Tea Leaf® has since grown to over 1400 stores in nearly 40 Countries worldwide. Company-owned stores are located in California, Arizona, Singapore and Malaysia. Our domestically franchised stores span from California to New York and include locations in Arizona, Colorado, Georgia, Hawaii, Maryland, Michigan, Nevada, Oklahoma, Texas, Washington and Washington D.C. Internationally, The Coffee Bean & Tea Leaf® franchised locations can be found in Bahrain, Brunei, Cambodia, China, East Malaysia (Sabah), Egypt, Georgia, India, Indonesia, Iraqi Kurdistan, Japan, Jordan, Kuwait, Lebanon, Mongolia, Oman, Panama, Paraguay, Philippines, Qatar, Saudi Arabia, South Korea, Sri Lanka, Thailand, and Vietnam. Islamabad, Get your winter wardrobe out and rush to the brand new The Coffee Bean & Tea Leaf and enjoy the fabulous hot and cold drinks , mouth watering cakes and deserts and delicious food from vast menu . 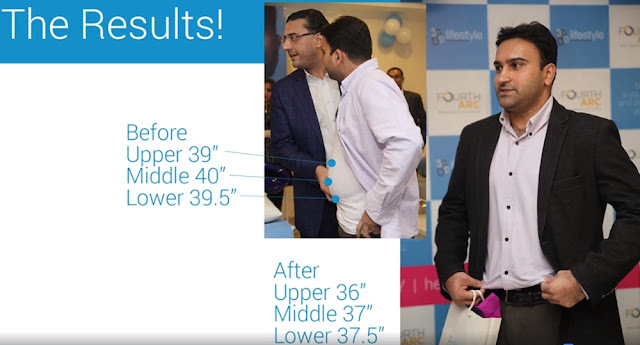 Lose 1 Inch In 45 Minutes Gets Showcased Live At 3D Lifestyle Launch...!!! All eyes got glued to Mr. Jawad Qureshi; the Founder and CEO of 3D lifestyle when he took center stage “It’s an emotional day in my life! I once was 290 LBS and I felt the isolation in the society; today, I take a moment to thank those who are constantly working to innovate technologies! 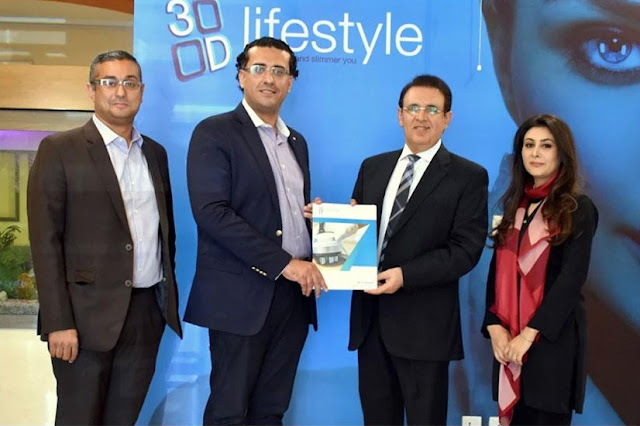 this is not just looking slimmer and younger, this is about to change and with 100 clinics soon to be launched in Pakistan, I trust our beautiful citizen will always stand out among any crowd” Mr. Qureshi also emphasize on how important it was for 3D lifestyle to strategically launch with doctors who give attention to detail with best practices and no one could have been a better pick then Dr. Humayun Mohmand who without doubt has grandfathered himself in the Medical Aesthetics landscape of Pakistan! Press Release: Pantene HUM Bridal Couture Week 2017 Lahore Designers Revealed...!!! 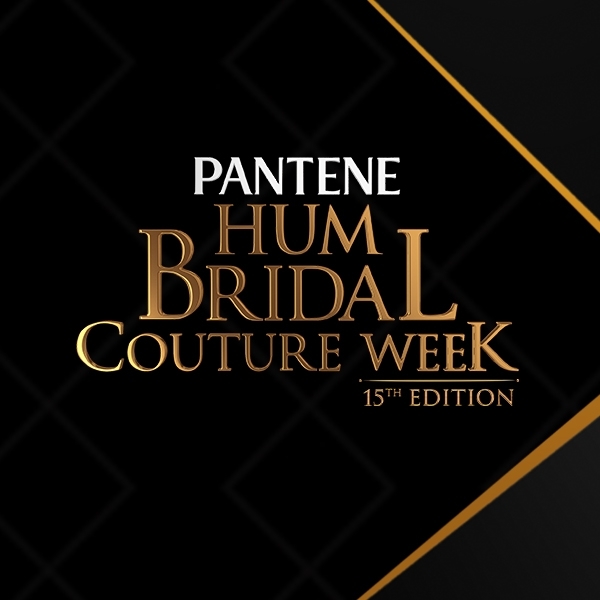 Entering into its 8th successful year, the country’s biggest bridal extravaganza, Pantene HUM Bridal Couture Week 2017 is set to present the latest bridal collections by leading and burgeoning fashion designers on local and international platforms. Commencing from December 8 to December 10, 2017, in the Mughal City of Gardens, HUM Network Limited is pleased to announce the names of participating designers, make-up artists, models and choreographer in the 15th edition of the eagerly-awaited fashion event of the country’s entertainment calendar. PHBCW will showcase bridal collections of the country’s 26 leading and emerging designers and retail brands. The 15th edition of #PHBCW will feature the latest bridal collections of Munib Nawaz, Nickie Nina, Ali Xeeshan, Erum Khan, Fahad Hussayn, Asifa & Nabeel, Lajwanti, Umsha by Uzma Babar, Maheen Taseer, Ahsan's Menswear (UK), Aisha Farid (USA), Aisha Imran, Amina Yasmeen by Mansoor Akram, Aneesa Kiani (UK), Chinyere, Deepak & Fahad, Demense Couture, Eden Robe, Humayun Alamgir, Mifrah, MNR Design Studio, Reema Ahsan, Royal Tag, Ziggi Menswear (UK) and Zonia Anwaar. A special segment “The Classic 15” will feature ensemble by the giants of our fashion industry including HSY, Karma, Elan, Saniya Maskatiya, House of Amir Adnan, Nida Azwer, Rana Noman, The House of Kamiar Rokni, Mahgul, Shamsha Hashwani, Nilofer Shahid, Farah Talib Aziz, Mehdi, Republic by Omar Farooq and Honey Waqar. Press Release: Pond’s Miracle Journey concludes two day workshop to mentor young women across Pakistan...!!! Pond’s, a leading skincare brand, known for the “Pond’s Miracle Journey” formerly underwent an exclusive meet-and-greet on the 17th of November 2017, premised at Movenpick Hotel in Karachi. Over a span of three years, the Pond’s Miracle Journey has celebrated over 300 women in the fields of health, social activism, entrepreneurship, beauty, professional training and education. These women achieved exemplary success and displayed openness and leadership skills: whilst defying society and all odds. This year Pond’s Miracle Journey aims to leverage the strength of the past honorees to enable the younger girls via a Mentorship program which allows one-on-one interaction between the younger mentees and industry leading women. The Pond's Miracle Journey Mentorship Programme is designed for women to turn struggles into success; develop work-life balance and learn from some of Pakistan's trailblazing women. As a first step, 30 candidates were selected out of the 2000 applicants and shortlisted as follows: 10 in Entrepreneurship, 5 in Health, 5 in Social Activism, 5 in Beauty and 5 in Education. The mentors included Vaneeza Ahmad, Model and Entrepreneur of Vlawn; Nilofer Saeed, owner of Ne’cos and Hobnob; Saima Saeed, owner of Sam’s Kitchen; Nazli Akbar fashion designer; Lubna Shahzad, owner of Rain Tree Spa; Hiba Masood from Drama Mama; Afreen Shiraz, owner of Ellemint Spa & Salon; Humaira Bachal, an activist; Sadia Sheikh, coach for Diya Women's Football club; Aneela Darbar, assistant professor of Neurosurgery at AKUH; Dr. Fehmida Arif, a dermatologist and Farhat Rasheed, president of Show You Care. The main focus was to transfer knowledge and expertise from the experienced, working women to the novice professional in a 2 day workshop held at Movenpick. “The second phase of PMJ is definitely a better phase for me because I am giving back. These girls with dreams and aspirations are getting the right kind of guidance from an early stage and honestly this is something that I wish I had in my life when I was younger because with this guidance you’re bringing forth so many more career-driven women. Hats off to Pond’s for making this happen,” said former model and now entrepreneur, Vaneeza Ahmad during her mentoring session. “Considering we don’t really have proper career counselling available at universities, this is why such promising initiatives are exactly what young girls entering into the work field require. I for one, feel great to be a part of this empowering movement,” said Nilofer Saeed, the owner of Ne’cos and Hobnob during her mentoring session. As the Journey enters its fourth year, the vision has definitely widened. Women are taught a reliance upon the self via interpersonal skills that help them attain professional gains. These include packages such as college and mentor sessions, training modules and workshops. The talks and workshops will soon be available online. 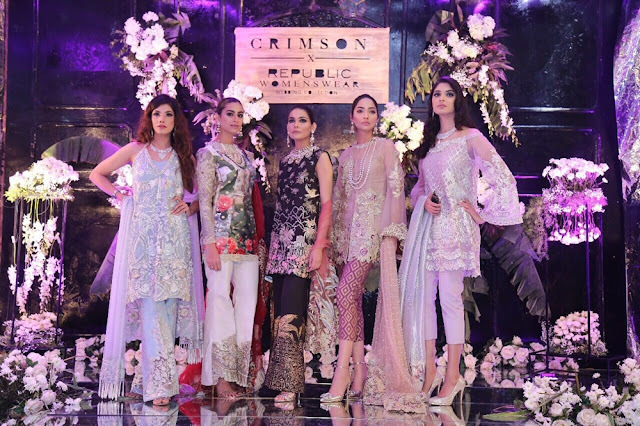 Press Release: Crimson X Republic Womenswear Bridal Collection Launch...!!! 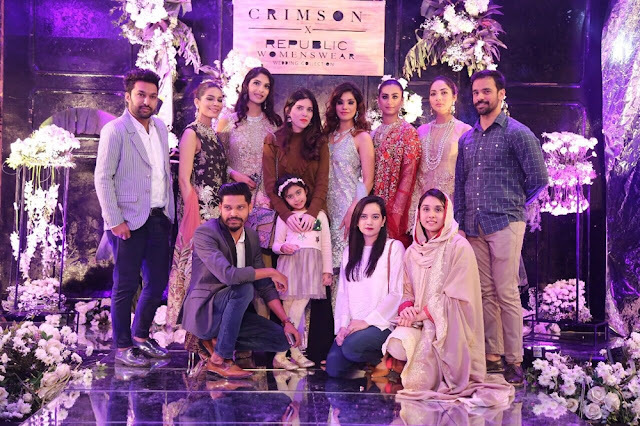 After establishing themselves as the market leaders of the fashion industry, Crimson and Republic Womenswear joined hands to launch their stellar Wedding Collection on Friday, 17th of November, 2017 at the Republic flagship store. The collection, staying true to its title Pour toujours which means ‘forever, is a manifestation of timeless beauty encased in an exquisite visual monologue. With its alluring revival of floral elements and tantalizing ornamentation, it brings to life the spirit of the wedding season with elegance and style. Compositions in net, chiffon and raw silk with delicate yet powerful embellished designs command attention to detail. Their hand stitched tilla embroideries, threadworks and sequenced ornamentation meld together to create an alluring and overtly feminine appeal. The collection comprises of three piece unstitched formal outfits with immaculate detailing, adding more panache to the season this year. With its distinct handiwork, sublime artistry and a diverse color palette, the collection truly reflects the masterpiece of the two great market leaders in the industry. 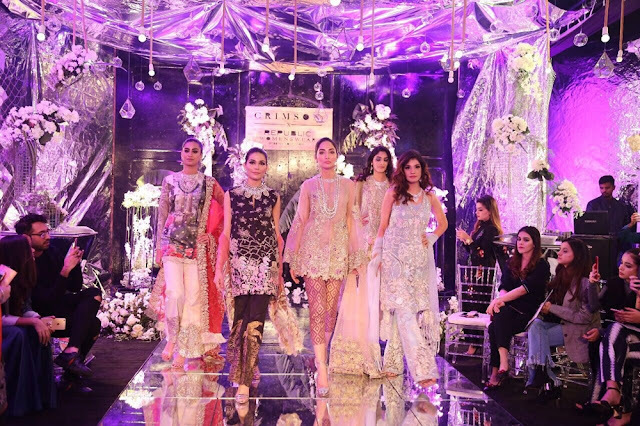 Speaking about her collection, Sana Farooq, CEO Republic Womenswear said, “Pour toujours is a journey of bringing couture sensibility to the high-street. A challenge that we accepted and we are extremely overwhelmed by the outcome! It is with utmost hard work and the usage of new techniques that we were able to create fabric surfaces and embellishments that not only looked like couture but also are very affordable. Pour toujours is a product of a new era that crimson has set the bar for in the market.